The Blot cannot wait for Marvel’s next live action film, Thor: Ragnarok!!! I can’t believe we’re actually getting a mash-up of Thor’s corner of the Marvel Cinematic Universe with the iconic World War Hulk storyline from the comic books. What a brilliant idea! 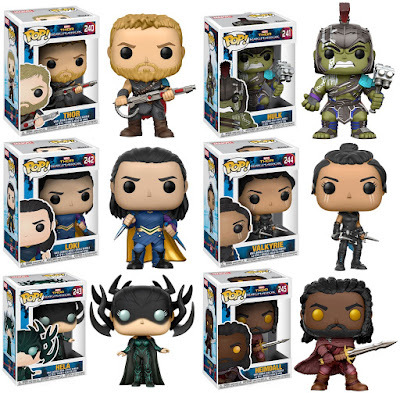 To celebrate the film’s release, Funko has announced a fantastic new line of Thor: Ragnarok Pop! vinyl figures. Series 1 is set to include Thor, Hulk, Heimdall, Valkyrie, Loki and Hela. 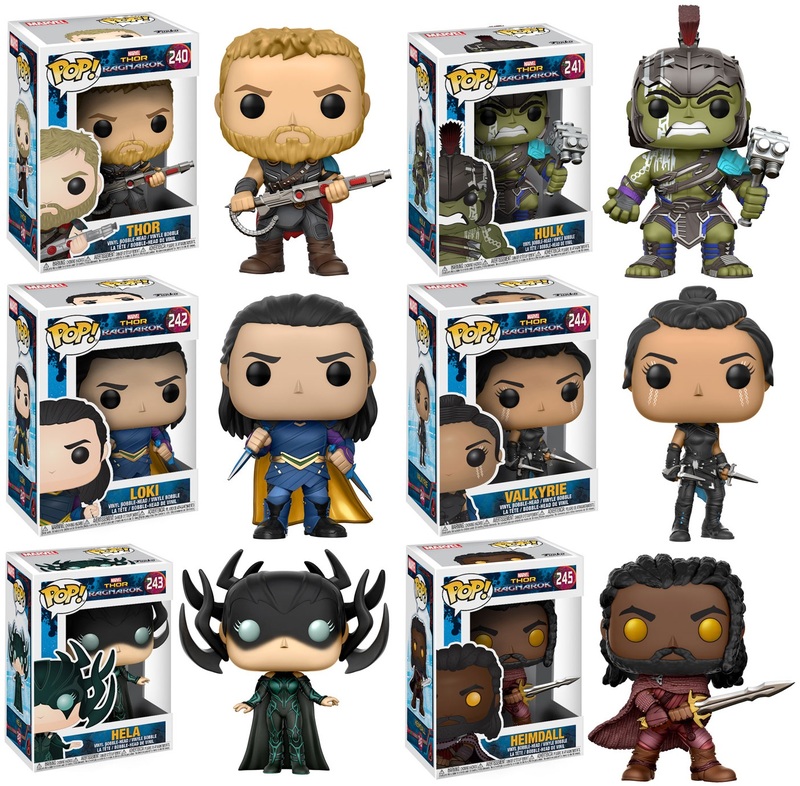 Each Thor: Ragnarok Pop! bobble head vinyl figure stand 3.75” tall, features one point of articulation and come packaged in a full color displayable window box. These Marvel figures can be pre-ordered now at Entertainment Earth for $10.99 each here.